Born 1929 in Vass, N.C. Previously bass player for Jimmy Cavallo. Musicians on Caprock 116: Max Alexander (bass), Frank Fierro (sax), Mrs. Kelso (piano), Fred Puga (drums), Dennis McCullough (guitar), and Tony Star (vocal). 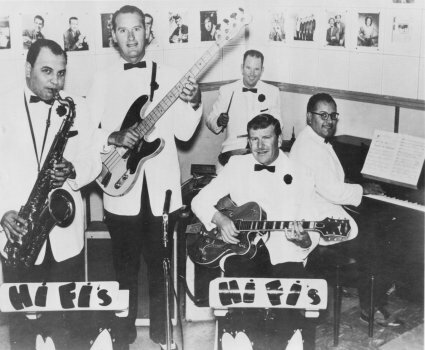 Musicians in photo (L-R): Frank Fierro, Max Alexander, unknown drummer, Hank Harral, David Perez. Antique 1001 is a bootleg.